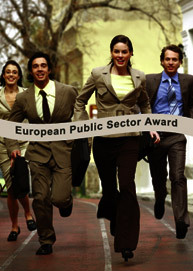 How do I participate in the EPSA 2009? You will first have to register for the EPSA 2009 and open an EPSA account. The EPSA 2009 registration form can be found under each thematic call text. Please note that the name of the theme to which you aim to apply will be preset in your online application submission. You may register and submit your application between 1 January and 20 March (24h) 2009. No, you will have to decide to which theme you wish to assign your project application. It is only possible to submit a specific project application within one thematic area. However, you may submit several different projects within the same thematic area. Please contact the EPSA 2009 helpdesk! Yes, with the EPSA log-in data (e-mail and password) you may access the online submission form again to edit your application, and then finalise it at a later point. There is no limit to the number of files that may be submitted. However, please note that the total size of the files may not exceed 10MB. If you have any other documents (video, brochure) to support your submission, these can be sent by ordinary mail to EIPA (only 1 copy of each document).